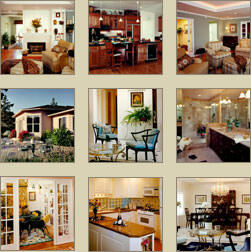 Building a new home or remodeling your existing home can be a challenging experience. There are contractors to select, many decisions to make, and budget limits to consider. As a professional designer with more than 25 years experience in the remodeling industry, I can guide you through the entire process – from design to completion. JD Designs offers clients the advantage of award-winning design expertise, plus a solid understanding of the entire construction process. This knowledge enables us to communicate your vision into designs that are attractive, realistic to build, and within your budget. Our goal is to provide you with a high quality design coupled with superior customer service in a friendly, comfortable setting. We are located in Monument, Colorado and service the Colorado Springs area, Tri-Lakes area, El Paso County and Douglas County. Other outlying areas would be considered as well. If you are considering adding an addition on, remodeling or building a new home, I invite you to view our online portfolio and read about the design services we offer. The portfolio highlights past projects in a number of diverse architectural styles, from craftsman to Spanish to traditional. The services section gives you an overview of how we can work with you to bring your vision into reality. Thank you for taking the time to visit our website. I look forward to the opportunity to discuss your project with you.